Ever since I started painting my nails and doing nail arts on them, I just can't stop buying nail polishes anymore. I buy them with my own money and I don't go for anything flashy and expensive,though. I know high-end nail polishes last longer and they protect your nails but since I like painting my nails at least thrice a week, I thought expensive ones would only go to waste.  So, I always try to buy local and affordable products. 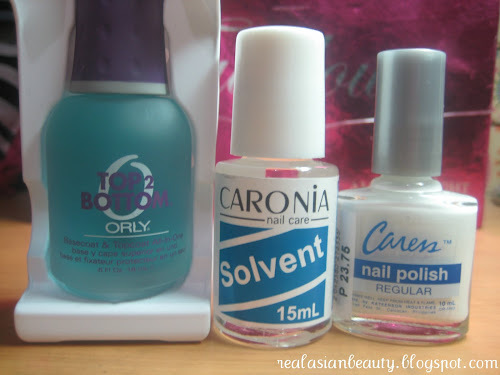 Philippine nail polish brands are also good quality and they last long,too. I think the key here is to use a good base coat to protect your natural nails and a god top coat to make the color last long. I got some from Etude House. I've tried some of them already (Petit Darling) and the colors were all amazing and they stayed on for 1 week without chipping. I just got too tired of them so I decided to remove them. I bought 4 shades from their Petit Darling Nail Polish line. Each bottle costs only Php 48 or about $1. 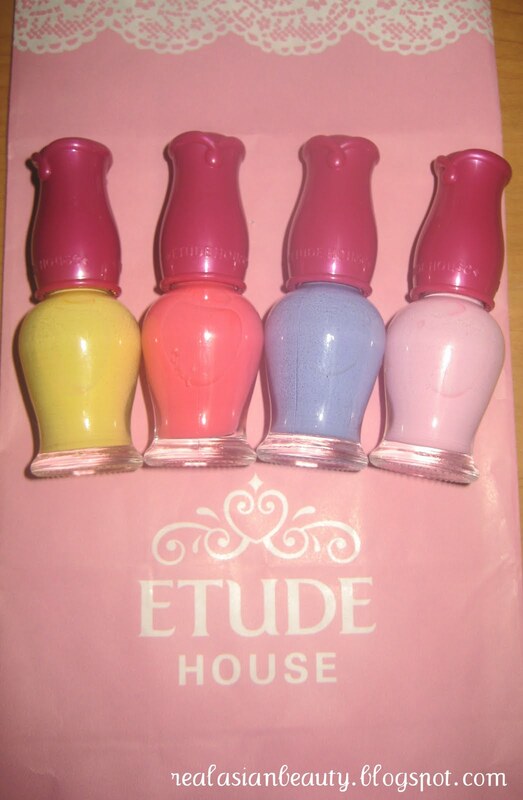 I got them in yellow, pink, blue and light pink. I'm not really sure about the content since it doesn't say on the bottle. 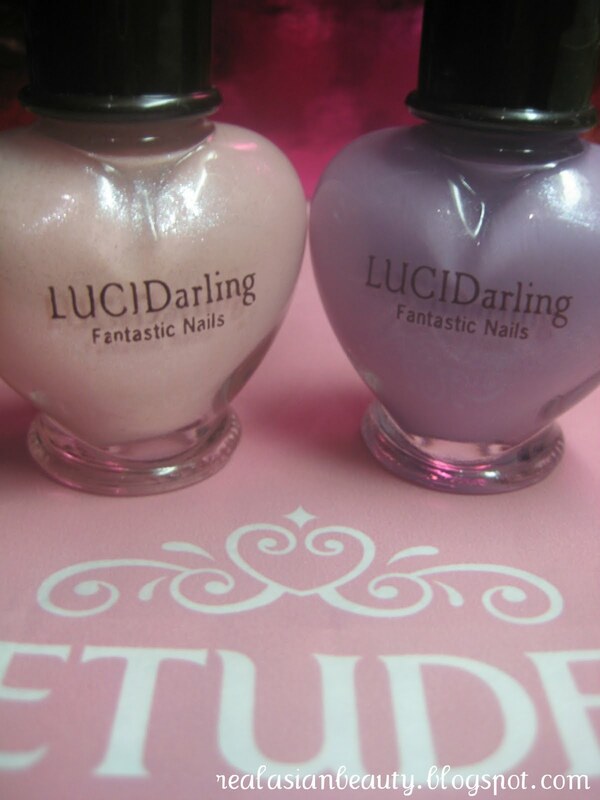 I also purchased two items from their LUCIDarling Fantastic Nails nail polish. 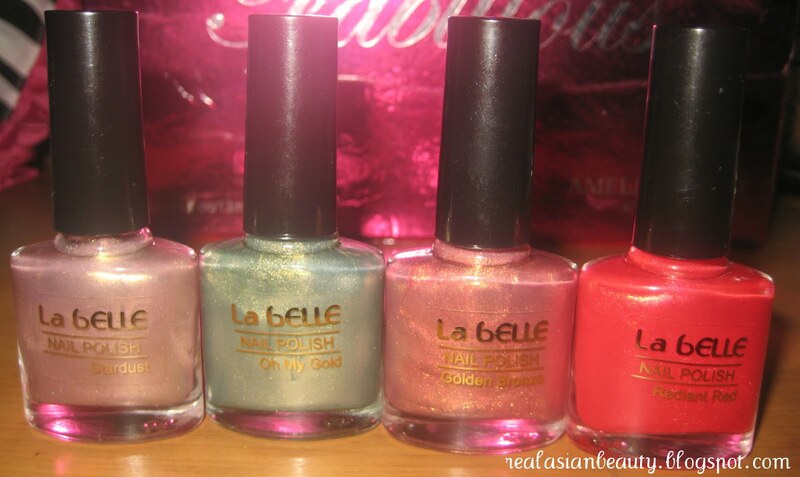 These nail polishes are pretty and shimmering. I got them for Php128 each bottle or about $3. 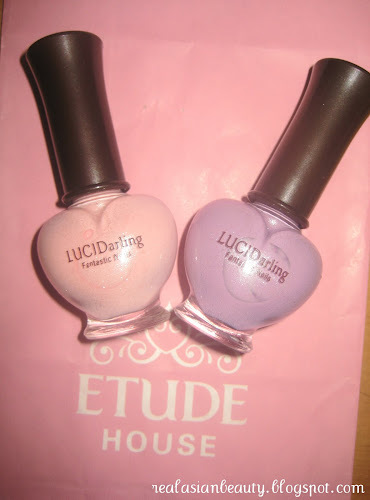 This is bigger than the other Etude House nail polishes that I got. But still the content wasn't mentioned on the label. I got two shades and they were in baby pink and light purple. 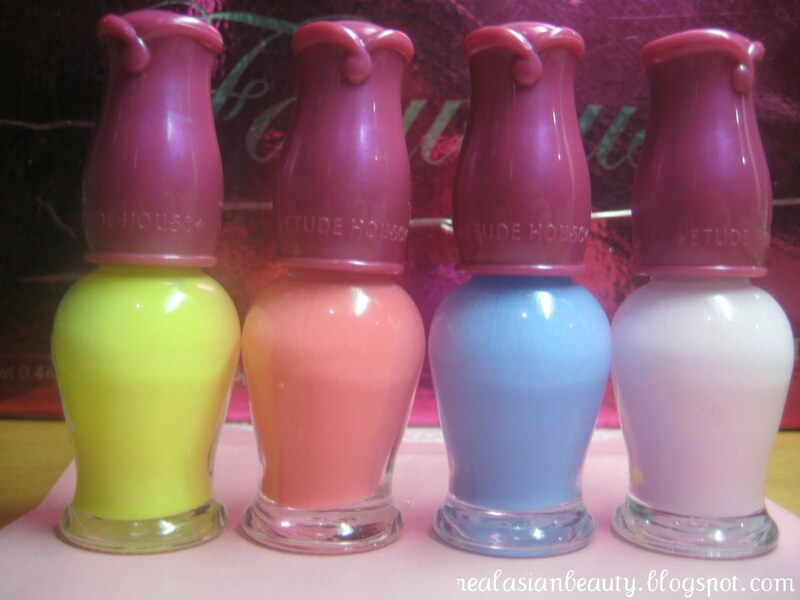 I also found a new brand of inexpensive nail polishes. 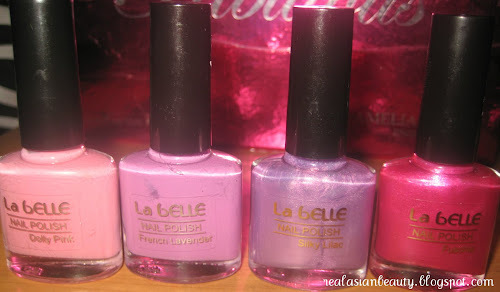 I bought 8 La Belle nail polishes and they were all pretty! They were so cheap, each bottle only costs Php 26 or about $.50cents. Most shades that I got were either frosted, shimmery or glittery. I also got 6 shades from Caress and they were also cheap. Each bottle costs only Php23 or about $.50cents. I also got the basic items like a base and top coat, solvent and a white nail polish. I purchased Orly's Top 2 Bottom base coat and top coat in one. I've read so many great reviews about this product so I decided to give it a try. The price is Php395 or about $9 for an 18 ml bottle. I will do a review on this product soon so please look forward to that. And that's the end of my haul. I hope you like all the items that I got.